From March 20 through March 22, you can find the PlayStation booth located at Space S527 in the South Hall at San Francisco’s Moscone Center. We’ll have interesting tech, tools and games to show. If you would like to meet with us to talk about the world of PlayStation, stop by for a visit. 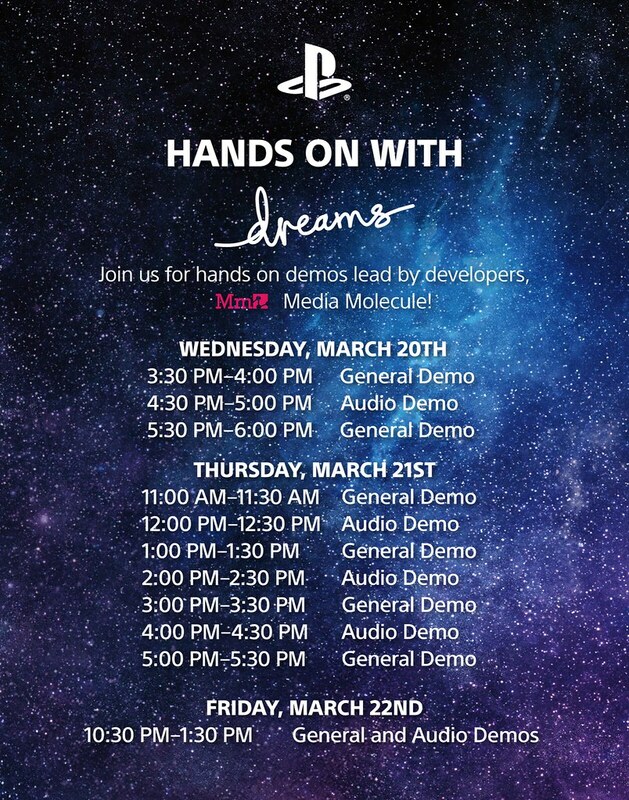 Sony Interactive Entertainment developers, programmers, producers, technology specialists, as well as experts from independent development studios will be speaking on a variety of topics throughout the week. Be sure to check out some of the PlayStation sponsored sessions and related talks that are available while you are here. Additionally, our Recruiting team will be at the booth to talk about opportunities at PlayStation. Recruiters representing multiple businesses will be available to discuss both full time and internship opportunities. Dreams brings to life the creativity and imagination of its players with a creative suite that’s robust and accessible for all. Join the developers from Media Molecule for an in-depth demo of Dreams’ tools and a look at what the community has already created! A complete list of Tools & Middleware companies that will be exhibiting at GDC 2019 can be found on our GDC webpage. Session Description: Join PlayStation as we discuss the importance of highlighting and celebrating our diverse communities within video games, as well as the people that make them. In this talk, our panelists will discuss including diverse cultures in recent/upcoming games, featuring strong female leads, people of color, and LGBTQ characters. The “Ask Third Party Relations @GDC” station will be here throughout GDC to answer licensing and business oriented questions that pertain to PlayStation publishing. Members of our Third Party Relations team will be here to answer them and have discussions with you on a limited appointment basis at GDC. To address the rapidly evolving digital entertainment industry and the need for highly technical and creative skill initiatives, Sony Interactive Entertainment (SIE) offers an academic program to champion the next generation of PlayStation-savvy creators! Our aim is to establish partnerships with select universities and academic institutions inspired by PlayStation technologies as a critical part of their teaching curriculum. For more information about the academic program available in your region, educators can send an expression of interest to: applications@ps-edu.scedev.net. Only requests from qualified school representatives will be responded to — interested students should ask their teacher to submit the request. AfroDev is a collaboration of BEAT! (Black EA Team! 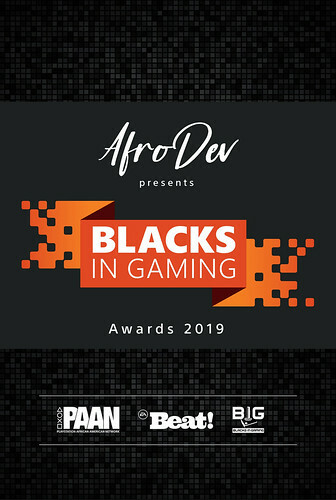 ), PAAN (Playstation African American Network) and BIG (Blacks In Gaming) affinity groups with a focus on networking members within the gaming industry. Blacks In Gaming (BIG) has been one of the independent organizations we can look to who have recognized the need to have a resource and build community among African Americans in the games industry. AfroDev will be held Tuesday evening, March 19, from 5:00pm-9:00pm at MoAD (Museum of African Diaspora) in SF centrally located to GDC. Hope you are prepping some amazing stuff for the future of PlayStation 5, PlayStation VR 2, PlayStation Phone!, and PlayStation Now behind closed doors. Looking forward to what you have in store for the future of PlayStation, and how you plan to compete with Android, iOS, Stadia, Windows, and xCloud. PlayStation has been my Gaming Home since 1997, please continue innovating, and battling for market leadership. I want PlayStation to be my Home for VR, Home, and Mobile gaming for years to come. You guys have been for a long time now, we need some news regarding the future of playstation. Isnt Falcon Age should be under “vr” instead of ps pro? as it is a vr title..